In the late 16th Century, the famed Portuguese fortune hunters known as the Bandierantes discovered gold-- among several places--in a tiny southeastern area of Brazil. It was a glorious, pristine place, hermosa. So they called it Pouso Alegre, which means, “a nice stay.” It was where Bulls center Cristiano Felicio was born and raised. Felicio in his two seasons with the Bulls has been consistent about his joy of being in Chicago, a place, he has suggested, that makes for a nice stay. And now Felicio has found gold in Chicago. Happy Birthday, Cris, who turns 25 Friday. The Bulls Thursday with the close of the NBA free agency moratorium announced that the 6-9 center resigned with the team. In accordance with team policy, terms of the contract were not announced. 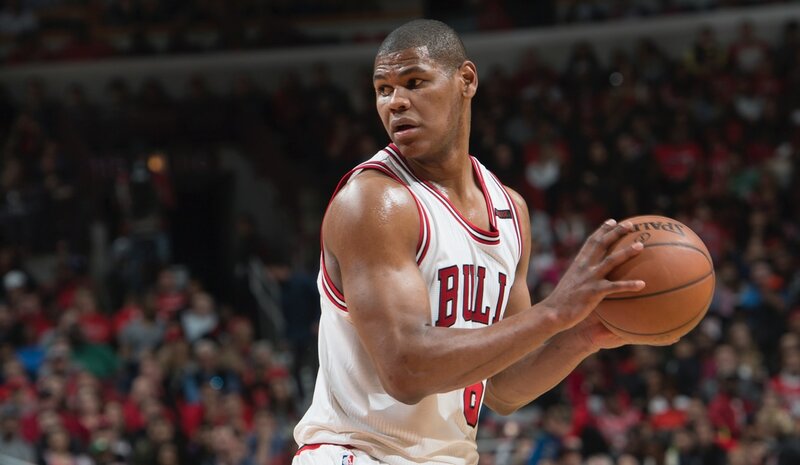 Published reports estimated Felicio agreed to a deal for $32 million over four years. Felicio is not one of the high level young prospects at the core of the team’s rebuilding effort, like Kris Dunn, Lauri Markkanen and Zach LaVine. But his story is one of the most remarkable in the NBA, coming from the remote region of Brazil where he was a soccer and handball player, failing to get into a U.S. university over NCAA issue with a previous team in Brazil, getting an invite to the Bulls summer league team in 2015 as a player likely headed to Europe or South America for a pro career and now signing a multi-year contract with the Bulls. 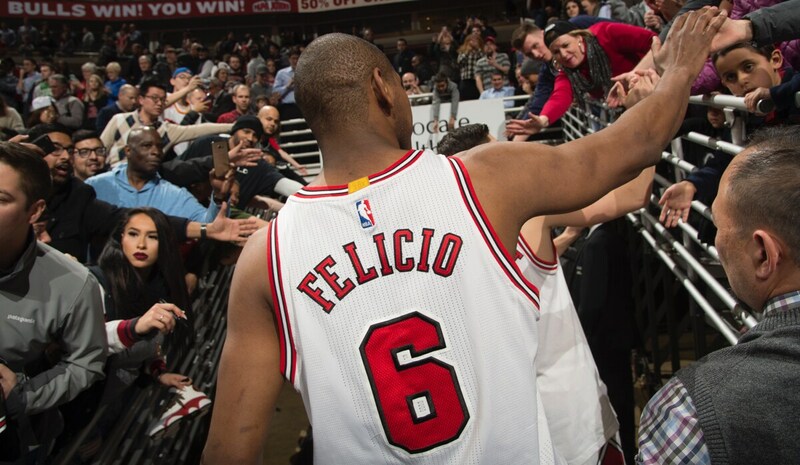 Felicio averaged just 4.3 points and 4.3 rebounds in two seasons with the Bulls, playing little his first year with D-league stops in Canton and then this past season briefly with the Windy City Bulls. 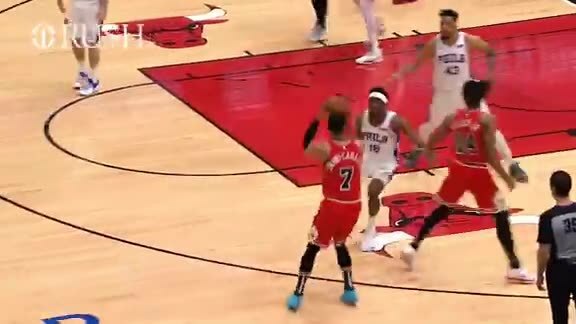 But Felicio had three double/doubles last season and showed an ability to be an effective complement to starter Robin Lopez with his quickness on the perimeter to hedge and help on pick and rolls and with an adept ability to roll to the rim and finish. Though Lopez remains the starter, the Bulls, obviously, are in a retooling process in which young players take precedence over veterans. The team certainly will continue to be open to moves that add young players or draft picks, thus making Felicio a valuable reserve. The Bulls also look toward top draft pick Markkanen as a player who can with his size and shooting play a form of stretch/shooting center along with forward. “We have a lot of young guys, a lot of guys that are hard workers and I know a few of them from my last two years here. 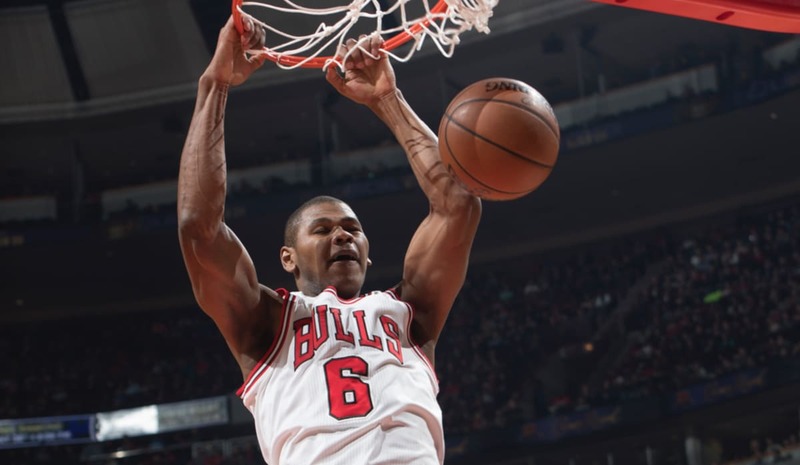 I'm sure it's going in a great direction,” Felicio said. “Not a lot of people are putting faith in us, but if we keep working, when the season starts I'm sure we'll have pretty good season. Zach (LaVine) is coming back from an injury and he's been here training, getting treatment and in the gym just trying to get back on the court. Lauri and Kris have been practicing with the Summer League team, and I was able to watch their practice. They're doing pretty good. They're fitting in really well with the other guys. Felicio said his first big purchase with his new contract will be a new house for his mother. Felicio’s has been a circuitous journey worthy of those 16th Century explorers in seeking his own form of fortune. Growing as he did, his coaches urged him toward basketball, which was not much of a presence in Pouse Alegre, as nice a stay as one could have there. Cristiano went on to a youth development program in Brazil and then unknowingly tried a prep academy in Sacramento, which wasn’t particularly legitimate. He began to get noticed and had a chance to go to the U. of Oregon, but ran afoul of NCAA peccadillos. He returned to Brazil and when the Bulls were in Rio de Janeiro to play Washington in the 2013 preseason, they got a look at him with his Brazilian team. Still not a standout scorer, interest was limited. He declared for the 2014 NBA draft and wasn’t selected. Even to stash. He got an invite to that Bulls Summer League team in 2015 and even the coaches weren’t sure who he was. But Felicio continued to work at it, becoming stronger, showing good balance and footwork. He still needs to gain confidence in his shot, but if his journey is any indication of his commitment, perhaps the Bulls have found a nugget. “When I got here nobody knew me,” Felicio acknowledged. “For the first six, seven months I was just working, staying on the court trying to improve my game. So to be able to end the first season the way I did (back to back 16-point games), for sure, was eye opening to me for what I could do in the future. This year, people were definitely expecting a lot more from me and I tried to go out every single night and give everything I have. From now on, I know people will be expecting a lot more and I'm confident that I'll be able to add a lot more to the team.